A panel discussion held this week at Long Beach Comic Con featured four creative folks involved with Star Wars. Moderated by Albert Ching, the panel featured Cecil Castellucci, Sam Witwer, Stuart Immonen, and Brian Miller. 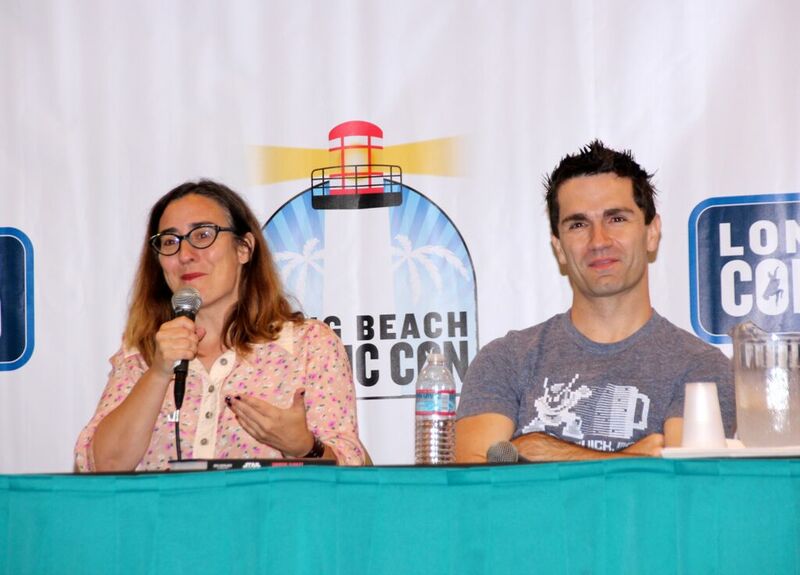 Because each of them are involved in different areas of Star Wars content creation, they were each able to bring something different to the conversation. 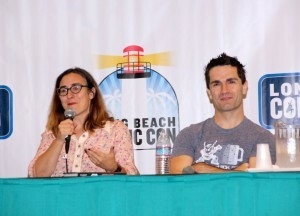 Castellucci, who authored the recently published “Star Wars: Moving Target”, observed that her working for Star Wars has been “fun, since we’re all fans” and that “we’re just as excited about the stories that are coming out as are the fans.” However, one thing that does set them apart that Witwer, who has voiced various characters on video games, “Star Wars: The Clone Wars”, and “Star Wars Rebels”, is that they know things that fans don’t know yet. Considerations of canon and knowledge were key issues in the conversation from the panel. 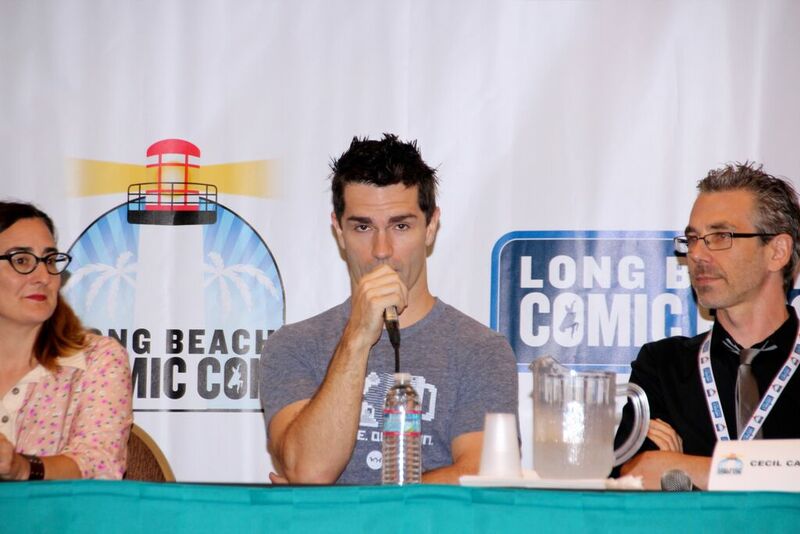 Indeed, as Ching, who is the managing editor at Comic Book Resources, pointed out that, “with the resetting of the canon, you could read and watch everything that’s canon, instead of decades of stuff”, making it easier for fans to easily consume everything and be caught up to everything. In creating their separate pieces of Star Wars content, they are kind of like terrorist cells, in that they know only some pieces, but not the whole story (so that, in case they are interrogated by fans, they can’t reveal everything about Star Wars canon). “I wrote about my own story sliver, which takes place between ‘Empire Strikes Back’ and ‘Return of the Jedi’, so there wasn’t much overlap of other stories” in canon”, said Castellucci. “Sometimes,” added Castellucci, “what happens is that you don’t need to know about everything else”, including in her own book; her co-writer knew some things and she knew other things and she only discovered some of them when she read the book. “And they don’t always tell you why”, added Immonen, who has illustrated issues of the new Marvel “Star Wars” comic book series. “It does make it exciting,” Castellucci said, “when I read the comics, because it makes my work more exciting. Continuing on in the conversation about canon is also working with the Lucasfilm Story Group, since “there are extra steps that need to be taken with the various layers of approval”, as Immonen pointed out. “Sometimes, it can take up a year before something you works on comes out”, said Miller, who has worked on posters and other promotional items for Star Wars. This can happen, as Miller pointed out, even when nothing has to be re-worked or edited; when something has to be added, removed, or otherwise edited, it can take longer. 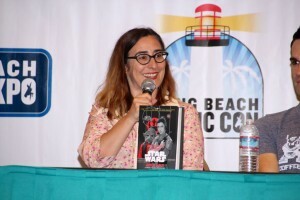 Castellucci also shared with the audience some cool aspects of her new book, “Star Wars: Moving Target”, which came out on September 4th, which, despite being aimed at a younger audience, it’s really for 8 and up to 100, it’s really for all ages. Moreover, she pointed out that, “if you read my book and then watch ‘Return of the Jedi’, you will be impressed”, especially with certain characters. 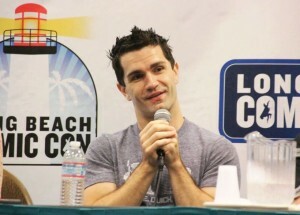 Witwer added a very different dimension to the discussion, including doing several voice impressions, particularly Emperor Palpatine, which, along with Darth Maul, is his favorite character to voice. Fascinatingly, he stated that “the fun thing about Darth Maul was developing the character”, which his characterization about him was “heavily influenced by Palpatine”, since Palpatine raised him. However, despite all the dark characters (“I seem to be doing a lot of villains recently”), “the whole thing about Star Wars is that it is 20% humor, so you have to go in thinking about it”, even when voicing Palpatine. 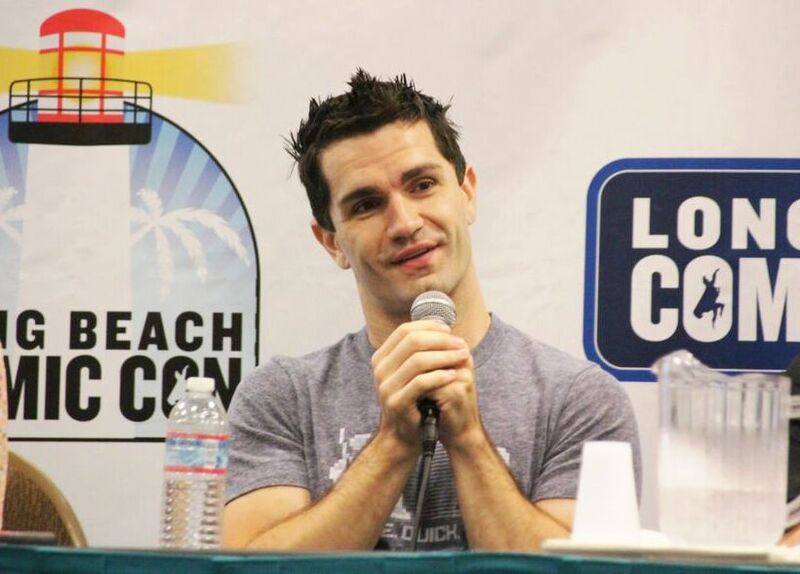 Witwer was also a real hoot, in addition to his Palpatine impressions, as he also discussed Luke Skywalker’s development as a character, especially in stark contrast to Anakin Skywalker/Darth Vader (Witwer analyzed Darth Vader: In “Siege of Lothal”, we see Darth Vader almost through Ahsoka Tano’s eyes, as he is achieving his job, just as he was in the Clone Wars, and that “he pretty thoroughly loses his hero status” from The Clone Wars. Darth Vader now sees it as “if these people are going to die to get this done,… he has become the machine.”).